Memory flows deep and sentiment eddies and swirls along the Lower Mississippi River. Experience authentic Southern culture as we journey through living history and soak in the romantic spirit of the Antebellum era. Fertile cotton fields, vast sugar cane plantations and imposing pillared mansions will transport you back in time, as will the Civil War battlefields. Arrive at the New Orleans Airport, we suggest taking a shuttle to the pre-cruise hotel, the Hilton New Orleans Riverside. You can arrive early and spend the day exploring. The American Queen hospitality desk will be located in our hotel between 2:00 p.m. and 7:00 p.m for tour suggestions. Meet your River Cruise singles hostess at 7:00pm for a meet and greet and to walk to dinner. Today is the big day! After breakfast, we will officially check-in to our cruise before departing the hotel. Put on your walking shoes, as we will follow in the footsteps of historic figures on our private guided tour. Stroll along the Mighty Mississippi, through the French Market and Jackson Square, then down by the quaint streets named for past saints and sinners. Learn about the Creoles that founded the city in 1718. See the old Quarter come to life as our guide explains its secrets, the architecture, courtyards, gardens, food, music, and art. Free time for lunch before we transfer to our river boat, the American Queen. After we are comfortably aboard, wave “Au Revoir” to New Orleans as we set off on an incredible adventure up the Mighty Mississippi! N ottoway is the South’s largest, most glorious remaining Antebellum mansion with a rich history dating back to 1859. In a fabulous location along the great River Road overlooking the grand Mississippi River, this “White Castle” of the South transports visitors back to an era of glory and grandeur. Set against a natural backdrop of vibrant gardens and two hundred-year-old oak trees, Nottoway Plantation captivates all with a brilliant blend of true Southern hospitality, history and mystery. Included Shore Excursion: Laura...A Creole Plantation and Nottoway - Our day begins at Laura Plantation, where we will enter the fascinating world of true Louisiana Creoles. Surrounded by fields of sugarcane and featuring 12 buildings on the National Register, our guided visit takes us through the newly restored Big House, the grounds, the formal French Parterre, the vegetable & fruit gardens, the Banana Land grove and the 170-year-old slave cabins where the west-African folktales of Compair Lapin, known in English as the legendary “Br’er Rabbit,” were recorded. Laura’s acclaimed tour is based upon personal, compelling accounts found in the French Archives Nationales as well as from Laura Locoul’s own Memories of the Old Plantation Home, owners, women, slaves and children. Before leaving, be certain to stop in at the Laura Plantation gift shop to pick out the perfect souvenir! To conclude our day of exploration, we make our way back along the levee, towards Nottoway Plantation, known as the “White Castle of Louisiana.” Authentic period dressed guides will meet us at the front steps to welcome us to this pristine mansion. Enjoy a guided tour of the plantation, weaving through each room and uncovering the history that lays inside, including a glimpse at the famous White Ballroom! As our tour comes to an end, take advantage of free time to explore the grounds and gift shop. Established in 1809, St. Francisville is the oldest town in the Florida Parishes. In the 1790's, locted below St. Francisville was a settlement called Bayou Sara. When this settlement was destroyed by flooding and fires, many of the structures and artifacts were hauled up the bluff into St. Francisville, where they are still standing. The town is referred to as “two miles long and two yards wide,” but that definitely doesn’t mean they have nothing to offer! Stop in at one of the unique shops, historical homes, beautiful churches, or breathtaking parks and you will agree. Spanish moss trees grow throughout the town, lending a beautiful southern comfort to the atmosphere. Included Shore Excursion: Explore St Francisville - With your singles hostess we will visit the following locations. Church of the Holy Trinity spans over 125 feet long, 52 feet wide, and reaches 61 feet high to the apex of the roof. The church was constructed in Romanesque Revival style and finished in red brick. The stained-glass windows may be the main draw – there are 26. They were given as memorials and six of them were created by Tiffany Studios in New York. Anchuca Mansion, listed on the National Register of Historic Places, was built in 1830 by politician J.W. Mauldin. During the war, the house was used as a shelter for those who had suffered. Tour the home and its beautiful furnishings. Old Court House Museum's, construction began in 1858 and was completed in two years. It survived Union shelling, a direct hit from a tornado in 1953, and is now home to the largest collection of Vicksburg’s history. The museum is filled with countless artifacts, including confederate flags, portraits, the trophy antlers won by steamboat Robert E. Lee in an 1870 race, an original Teddy Bear given by Theodore Roosevelt, and many more! Yesterday’s Children Antique Doll & Toy Museum was featured in Southern Living, Delta Magazine, and Dolls Magazine. Enjoy a self-guided tour featuring over 1,000 dolls and toys dating back to 1843. Biedenharn Coca-Cola™ Museum - enjoy the wide variety of Coca-Cola™ memorabilia in an authentic candy store and soda fountain setting. This building is where Coca-Cola™ was bottled in 1894 for the first time anywhere. Lower Mississippi River Museum - shows the federal government’s role in the Mississippi’s past as well as future efforts to maintain a healthy river. Explore showcases of Vicksburg's history and exhibits about the 1927 flood. Learn about the fish up close in the museum’s 1,515-gallon aquarium or choose your own adventure on the river with the Mississippi Trail Interactive exhibit! Old Depot Museum - has a 250-sq ft diorama of the Vicksburg Battlefield, houses 250 ship models, model railroads with railroading artifacts, 150 model cars, an architectural display with models depicting the architecture in Vicksburg, and more than 40 original war paintings and Civil War artifacts. This charming river town was first inhabited by Natchez Indians and French explorers who shared the land. Founded in 1716, making it the oldest city on the Mississippi, Natchez is known for its elegance, hospitality, and impressive preservation of history. Enjoy the unique shops, restaurants, museums, and historical houses located in Natchez, as they explore the beautiful downtown areas. Included Shore Excursions: Explore Natchez - With your singles hostess we will visit the following locations. Rosalie Mansion - In 1823, a mansion was built by a wealthy cotton planter on land north of Fort Rosalie. The Daughters of the American Revolution own and have maintained the house and grounds since 1938. On our self-guided tour, discover the history of the house and its artifacts. Period-dressed docents can answer questions and to provide more information! Explore the extensive gardens, gift shop, library, and carriage as well. Natchez Visitor’s Center - enjoy a 20-minute video about the history of Natchez, then explore the building at your leisure. At the entrance, a scaled display model of the city is showcased. William Johnson House Museum - known as the “Barber of Natchez”; William Johnson began as a slave and gained his freedom at age eleven. As the town barber, William Johnson was able to hear the stories and gossip of many of the residents, which he documented in his diary for over 16 years. His 3-story brick home was built in 1840 and showcases many original furnishings. Magnolia Hall - this Greek Revival Mansion was built in 1858, before the breakout of the Civil War. Though it suffered some damage – a cannon ball was launched into their kitchen, it is now fully restored. The main floor offers a showcase of antiques and furnishings and the upper floors has a costume collection. Tour the house, then stop in the gift shop for some souvenirs. Stanton Hall - Irish Immigrant and cotton merchant Frederick Stanton built this Palatial Greek Revival mansion in 1857. It was appraised at $83,000 during that period, even before it was furnished. Take a 30-minute tour of the house – which takes up the entire block and is fully furnished. King’s Tavern and Charboneau Distillery - Step off the motorcoach and walk through the front gate leading to the second-floor porch of this 1789 building, the oldest structure in Natchez. Tour the King’s Tavern, a newly opened restaurant and bar - first visit the distillery, followed by a guided tour of the bar, with a custom drink on the house. Natchez Association for the Preservation of Afro-American Culture Museum - delves into 300 years of African American history, from Colonial and Cotton Kingdom Natchez, to the Reconstruction and the Civil Rights Movements. As we explore this portrayal of the African American story, we will unfold history to reveal Natchez in a different light. Described as the “Key to the South” by Abraham Lincoln, Vicksburg carries a history unlike any other Civil War city. Founded in 1811, the city grew as a vital river port. Today, Vicksburg is a popular spot for tourists to learn about the Civil War, visit museums, and to pick out the perfect souvenir. Included Shore Excursion: On the Front Lines of the Civil War Tour - Travel the front lines of one the most important battlefields in the country. Cross into enemy territory, hear the stories and hardships suffered by soldiers and discover what makes Vicksburg such an important city in American history. Aptly described by President Lincoln as “the key to victory,” the Siege and Battle at Vicksburg is a landmark in time that shaped our country and how wars would forever be fought. Set off for the historic Vicksburg National Military Park. Here, we will travel the 16-mile road that weaves through the 1,300 monuments and markers. As our luxury motorcoach navigates the bluffs and fields that once served as crucial battlegrounds, we’ll cross both Union and Confederate lines and make a few stops to allow for a close-up experience at some of the key points of interest along the way. Tour the USS Cairo and Museum, an Iron Clad River Boat that was raised from the depths of the Mississippi River and can be boarded and fully explored. Climb the steps at the Illinois State Monument, the largest of the 27 state monuments and walk the National Cemetery, a peaceful location for the largest amount of Civil War burials in the country, as well as the Vicksburg Battlefield Visitor’s Center where an informative fiber-optic display depicts the progression of the siege. Greenville, at the very heart and soul of Mississippi Delta, is located on the banks of Lake Fergusson. Greenville is just a short drive to Indianola, the birthplace of B.B. King, so it has its fair share of Blues integrated into its culture. The author of the Muppets actually got started here along with a long list of other impressive, renowned writers! This beautiful town is sure to win your heart with its southern charm and soul. 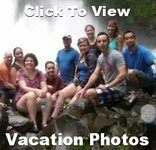 Included Shore Excursion: Explore Greenville - With your singles hostess we will visit the following locations. Greenville History Museum is home to many artifacts, photos, memorabilia, and souvenirs dating back to the early 1800s. See personal objects of past citizens, businesses, or well-known historical present-day celebrities! Hebrew Union Temple - this guided, extensive museum about Hebrew history was built in 1906. Located in front is an original carriage stone, used for passengers as they climbed in and out of horse-drawn carriages. The temple showcases original stained glass and a 1906 working organ plus extensive artifacts and memorabilia from WWII. 1927 Flood Museum - located in the oldest structure in Downtown Greenville, this museum depicts the history of one of the worst natural disasters. View the artifacts and photos illustrating the flood’s impact during four long months. Watch a short documentary illustrating the cause and effects of the Great Flood and the struggle of man against nature. E.E. Bass Cultural Arts Center is home to the Armitage Herschell Carousel that was created in 1901 and is the oldest fully functioning today. Mississippi at that time was still legally segregated, many people approached the owner about having separate nights for carousel rides, but the owner refused, he wished for everyone to ride together. Take a ride on this amazing machine and hear the whistle blow and travel back in time. Trop Casino - Just a short distance from the dock, we find ourselves in Greenville’s Trop Casino. The city’s newest addition includes a $6.8- million expansion including a riverboat and land based casino! Enjoy the latest slots and table games or enjoy a fine dining experience at one of the casino’s extraordinary restaurants! St. Joseph’s Catholic Church - this fine Gothic Revival Church, erected in 1907, is the second building in this parish. Many of the stained-glass windows came from the Munich studios of Emi Frei. Greenville’s Writers Exhibit - located on the second floor of the William Alexander Percy Memorial Library, the exhibit highlights writers from Greenville. Writers influenced by the creative ambiance here include William Alexander Percy (for whom the library is named) Shelby Foote, Walker Percy, Hodding Carter, Jr., Charles Bell, Beverly Lowery, Ellen Douglas, Bern Keating, Julia Reed and David L. Cohn. Today is our day to relax onboard, get an optional spa treatment or let ous singles hostess keep you busy. We have lots of fun activities, including our famous jewerly session. For a remarkable one-of-a-kind experience, take a guided tour of the American Queen's Engine Room to explore the inner workings of our classic, steam-powered vessel. There is always plenty to do between dawn and dusk on the river! Step inside Graceland Mansion and follow the same steps as Elvis himself, on a multimedia tour with stories by Elvis and Lisa Marie. See where Elvis lived, relaxed and spent time with friends and family. 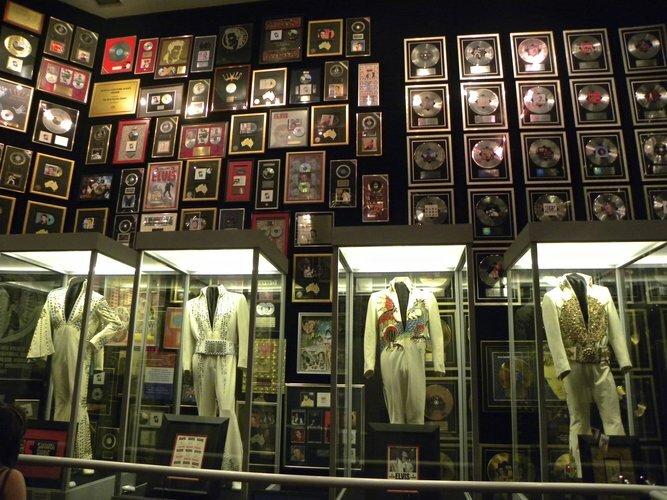 Our experience includes an audio-guided tour of Graceland plus self-guided tours of the Elvis Presley Car Museum, Elvis’ custom jets, the new Elvis: Live from Vegas and Elvis’ Hawaii Exhibits, and much more! The Rock ‘n’ Soul Museum will have you tapping your toes. Our included audio guide adds depth to the extensive exhibits, with more than 100 songs to bring liveliness to the displays. Delve into Memphis' musical legacy and learn all about the pioneers like BB King and Muddy Waters who put Memphis on the map. Its detailed displays feature instruments, stage costumes, artifacts and photographs. Fascinating exhibits trace a history from the rural areas of the Mississippi Delta to the bustling streets of the city, unveiling the story of Memphis and its music history in the process. 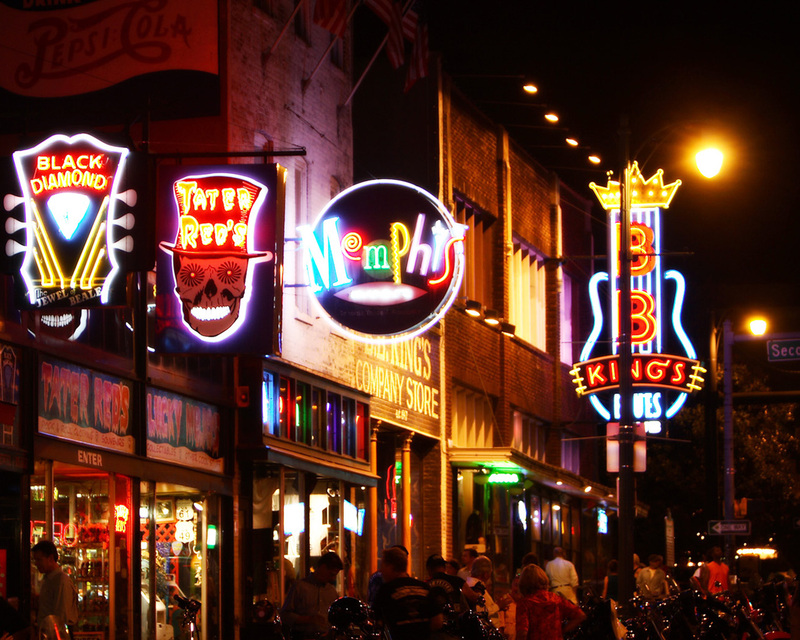 Tonight we enjoy Dinner on a famous American street, Beale Street, Three blocks of nightclubs, restaurants and shops in the heart of downtown Memphis, the Beale Street entertainment district is a melting pot of delta blues, jazz, rock 'n' roll, R&B and gospel. This National Historic Landmark was declared the Home of the Blues by an act of Congress, and with its rich history of legendary performers gracing the district (think Albert King, Louis Armstrong, Memphis Minnie, Muddy Waters and B.B. King), it's not hard to see why. With cold beer and hot music, Beale Street is one of the coolest places in Memphis. Relax in your sitting area, open the French doors to the deck, and greet the day as the banks of the river slip majestically by. Sit on the deck outside your stateroom and take in the expansive views or enjoy a leisurely morning in bed with room service. 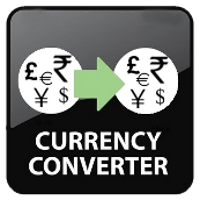 * Please note - Prices are not guaranteed until time of booking. This cruise has a $350 cancellation fee from the moment the cruise is booked. Balance is due November 10, 2018.